Today only, head into Starbucks and get a FREE Limited-Edition Holiday Reusable Cup with any Holiday Drink! Plus you’ll get 50¢ off your order every time you reuse your Holiday Cup between November 3rd and January 7th to buy a 16-ounce holiday beverage after 2 pm. See the announcement here. Note: Each Starbucks location will only have a limited number of cups so be sure to get there earlier in the day to get a cup. 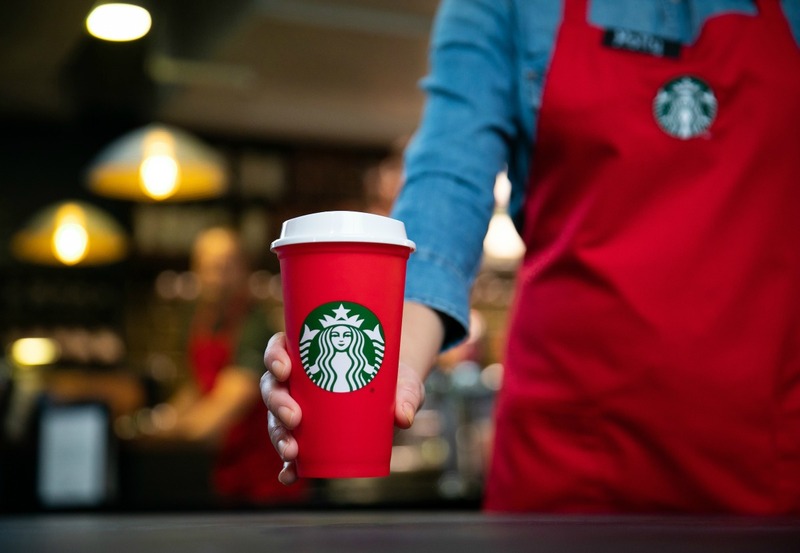 Holiday Beverages are: Peppermint Mocha, Toasted White Chocolate Mocha, Caramel Brulée Latte, Chestnut Praline Latte, Gingerbread Latte and Eggnog Latte, all available hot, iced and Frappuccino blended beverages.